Volume Pricing is a pricing model used to define the price of the product with respect to the quantity purchased. Typically, the product price decreases with increasing quantity. For instance, a license provider can set the price based on the number of licenses purchased. You might be paying $10 per license until you reach 5 but once you cross that figure, the cost might decrease to $8 per license, as shown below. 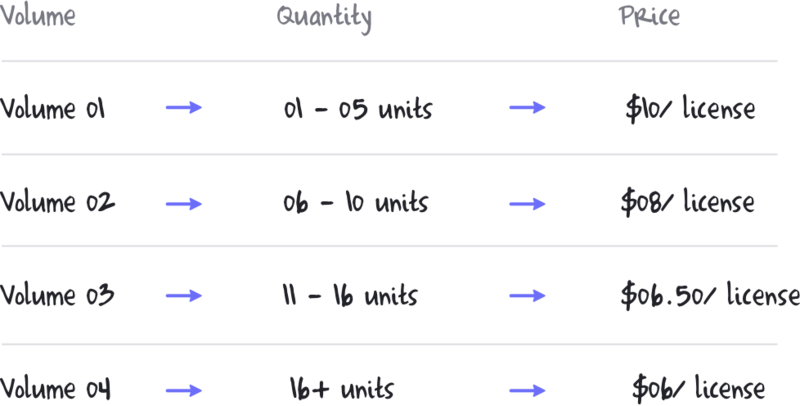 Unlike Tiered Pricing, where the product price of each unit may differ based on the unit range, in the case of Volume Pricing, all units of the product will cost the same. 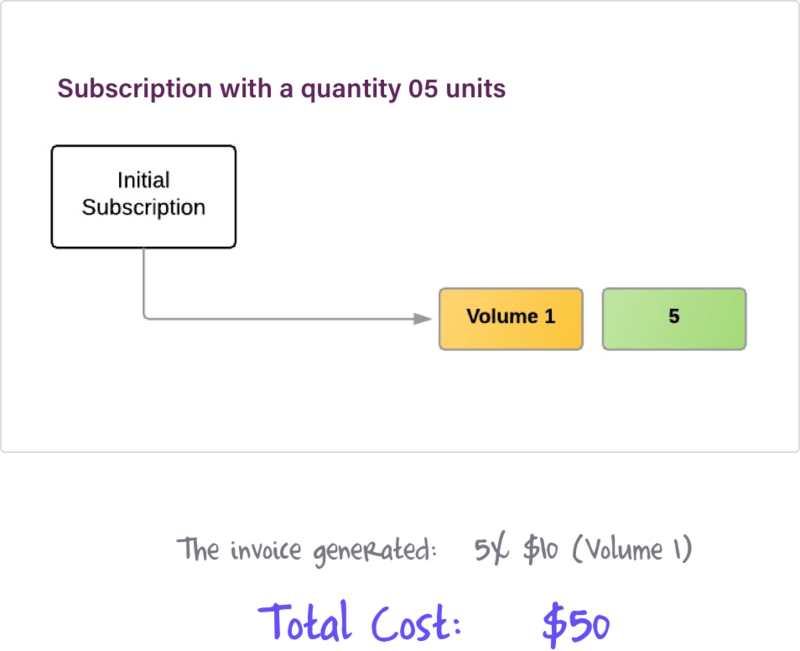 When a Subscription is created with a quantity of 5 units, all units will be charged $10 each, as they will fall into the ‘Volume 1’ category. When a Subscription is created with a quantity of 20 units, all units will be charged $6 each as they will fall into the ‘Volume 4’ category. Here’s a quick guide on how to set up Volume Pricing for a Plan using API and JSON payload. Create Plans (e.g. Plan name Cloud Server) for each volume range and set the Plan price as shown below. The Plan created in Chargebee need not be a quantity based Plan. Add JSON Meta data to the Volume Based Plan. Chargebee has the Meta data feature that can be used to store additional data at different levels (Plans, Subscriptions, Customers etc). Add the JSON Meta data to the Plans in order to establish quantity limits for each Plan. Create Subscriptions with a Volume Based Plan. 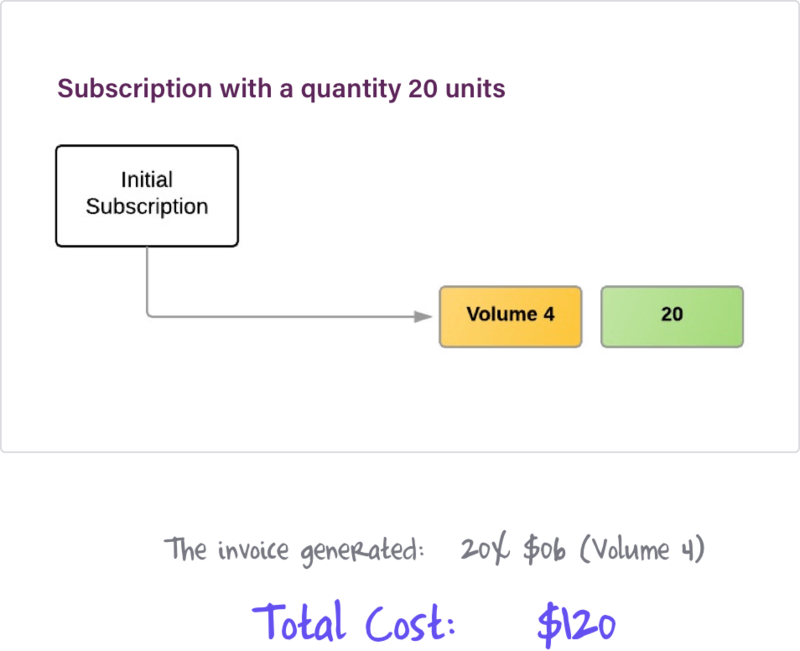 Based on the volume purchased by the Customer, check the Plan’s Meta data and Create the Subscription with the appropriate Plan. The Plan’s Meta data can be queried before Subscription creation to receive the Plan details. When a Subscription’s quantity has to be changed, you can change the Plan using the Update Subscription API. A Subscription is created with a quantity of 10 units. 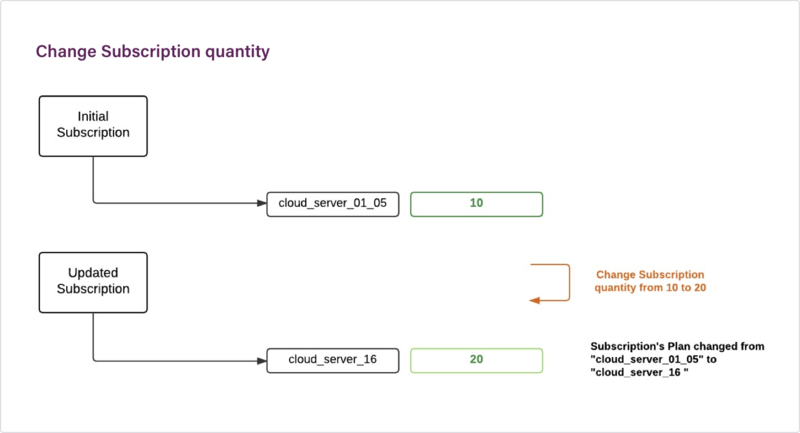 Since the quantity is 10, the Plan for this Subscription will be ‘Cloud Server (01 to 10)’. Now the Customer wants to change the quantity from 10 to 20 Units. In this case, the Plan has to be changed from ‘Cloud Server (01 to 10)’ to ‘Cloud Server (16+)’, using the Update Subscription API call. Sign up today and use our different pricing models.